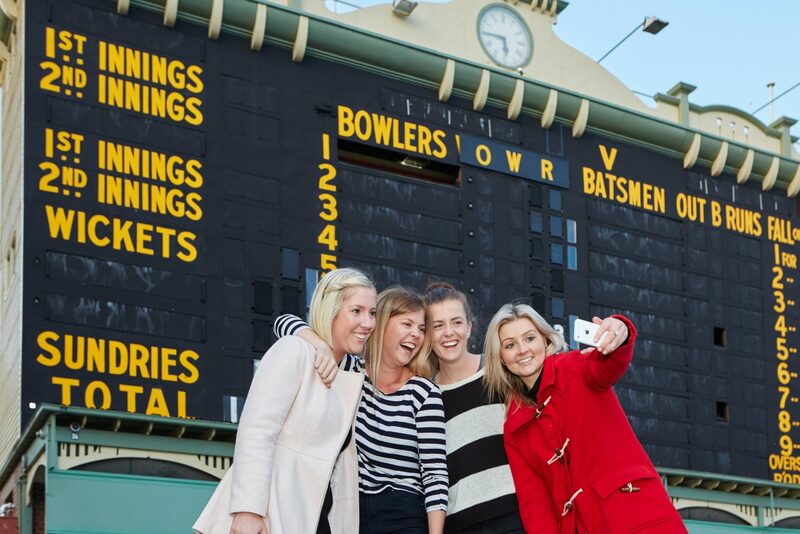 Go on an unforgettable journey into the inner sanctum on an Adelaide Oval Tour. You’ll be taken behind closed doors where you’ll discover hidden secrets, relive celebrated moments and witness the unique integration of the Oval’s iconic heritage features blended seamlessly with world-class facilities. Access restricted areas and experience the roar of the crowd as you take to the ground through the interactive players’ race. Step into living history as you explore inside the iconic scoreboard, and see where some of the world’s greatest musicians have entertained sold-out crowds. 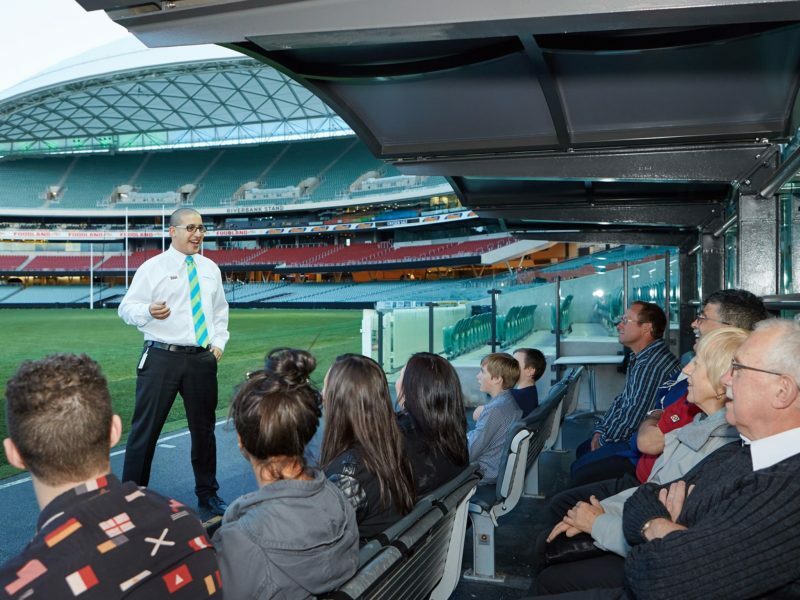 Adelaide Oval Tours are led by our expert volunteer guides who share their unique and captivating tales – there’s always a new experience waiting to be had. 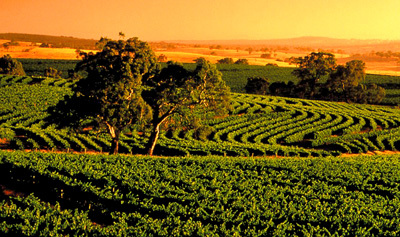 Tours operate seven days a week (excluding certain event days and some public holidays). Bookings are recommended to avoid disappointment. 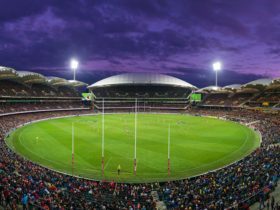 Adelaide Oval Stadium Tours take visitors behind the scenes to discover hidden secrets and relive celebrated moments in the sporting, musical and civic history of this world-famous sporting arena. Expert guides share captivating tales of the history of the venue, the sporting greats who have competed here and the Oval’s iconic status in SA. 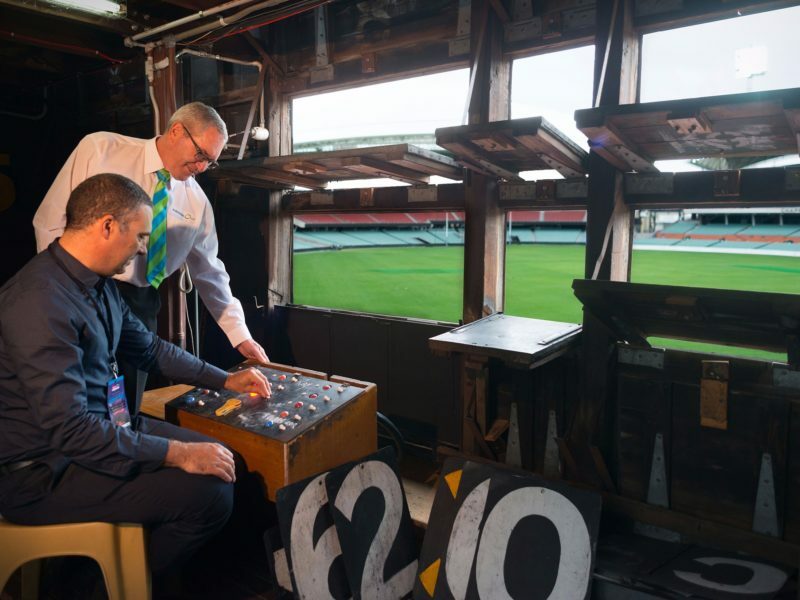 Imagine running onto Adelaide Oval to the roar of a 50,000-strong crowd, climbing the stairs to the 100-year-old heritage-listed scoreboard or gaining an insight into match-day preparations inside the players’ change-rooms – all of these experiences are included in an Adelaide Oval Stadium Tour. 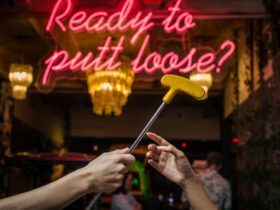 A tour includes admission to the famed Bradman Collection which tells the story of Australia’s greatest ever cricketer and provides an insight into life in Australia from the 1920s to the 1970s. 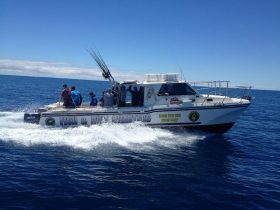 Tours operate seven days a week (excluding certain event days and some public holidays).